Once the media file is uploaded and the media gallery settings and customisation are done, the gallery is ready to be embedded on your web assets or shared with friends. Select embed method (more information about the different embed method see in “embed and share” chapter. Make sure the SEO toggle button in “On”. 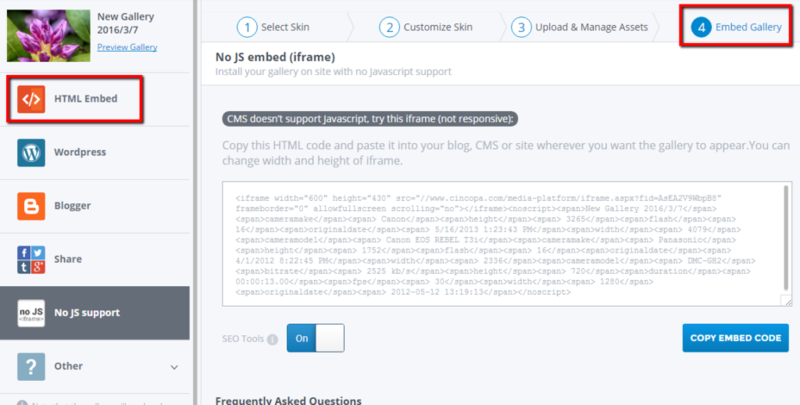 Copy the snippet code by clicking on the “Copy embed code” button. Paste the code in your web asset.